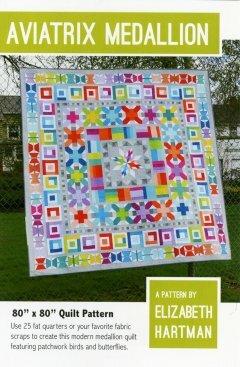 You might want to take a look at these Block of the Month Programs at the Quilt Emporium. There is limited space in each, so register on-line or call the shop to reserve your spot! For more information check the Classes section of the website. We'd love to have the pleasure of your company (and your quilts)! Aviatrix by Elizabeth Hartman, using Robert Kaufman Kona Solids and Essex. Fabric and pattern designed by Pam Buda. 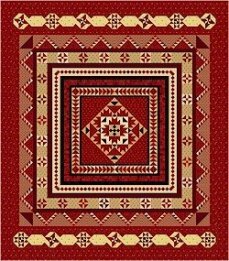 This medallion quilt blends deep red and beige prints as a commemoration of the gathering women did in support of their causes in the previous century.